Apple appears poised to refresh its iPhone and iPad e-reader app, Books, after years of few changes. The new app, likely coming to iOS in the coming months, is said to have a simpler interface. Alongside the app redesign will reportedly come a book store refresh looking very much like the App Store's refurbishment from 2017. The rumor about the refresh, posted by Bloomberg on Thursday morning, also claims that the app in testing has a "Reading Now" section, and a tab for audio books. 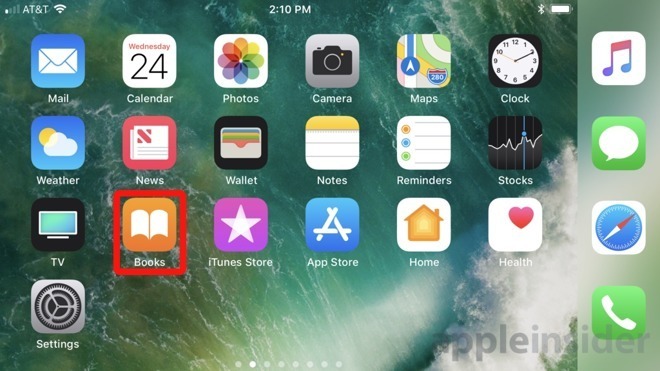 Apple's first beta of iOS 11.3 renamed the iBooks app to Books, but made no apparent changes to the app other than the name. AppleInsider was able to confirm Bloomberg's report of a new Books app in development from our sources within Apple not authorized to speak on behalf of the company. However, our sources claim that the app has been in development "since the fall," refuting the original report's claim that new hire Kashif Zafar from Barnes & Noble in December had anything to do with starting development of the app. Our sources refused to comment on the specific details of the app presented by the original report. At present, Apple holds about 9 percent of the eBook market, a slight downturn since 2015 according to a report from monitor AuthorEarnings. Barnes and Noble has 4 percent and declining having lost half its share since 2015, with Amazon growing to 83.3 percent in the same time period.